While reading the Apology (i.e. Defence) of the Augsburg Confession last week I came across this : "Hilary says of the foolish virgins: And as the foolish virgins could not go forth with their lamps extinguished, they besought those who were prudent to lend them oil; to whom they replied that they could not give it because peradventure there might not be enough for all; i.e., no one can be aided by the works and merits of another, because it is necessary for every one to buy oil for his own lamp." Cf. the Catechism of the Catholic Church (1994): "Since the initiative belongs to God in the order of grace, no one can merit the initial grace of forgiveness and justification, at the beginning of conversion. Moved by the Holy Spirit and by charity, we can then merit for ourselves and for others the graces needed for our sanctification, for the increase of grace and charity, and for the attainment of eternal life. Even temporal goods like health and friendship can be merited in accordance with God's wisdom. These graces and goods are the object of Christian prayer. Prayer attends to the grace we need for meritorious actions" (sect 2010) [italics mine]. Note - Because of the statement that forgiveness and justification can not be merited, the Lutheran may initially regard the above quote from the CCC as quite an evangelical statement. Note, however, the additional statement that the "graces" of sanctification, increase of grace and charity and even "the attainment of eternal life" can be merited for ourselves and others (!). This addition reveals the difference in the Roman doctrine of justification as compared to the scriptural and Lutheran doctrine - for Romans justification is only the beginning of a process in which God and man co-operate. For the Lutheran, in contrast, the accomplishment of our salvation is entirely a work of God in man through faith. Interesting also that the doctrine of the transfer of merits is well known in Buddhism, the religion of good works par excellence. Roman Catholics protest that the phrase "transfer of merits" is not in their theological lexicon; maybe so, but the concept certainly is. It was, of course, central to the Reformation debate concerning Indulgences. Pic: Teresa of Avila pleading her merits for the souls in purgatory. 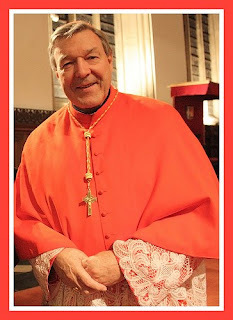 Cardinal Pell: "It Ain't Necessarily So"
These lyrics are from Australian pop singer Normie Rowe's 1965 version of George and Ira Gershwin's 'It Ain't Necessarily So', taken from their 1935 opera 'Porgy and Bess'. The song's lyrics go on to question the veracity of several Old Testament narratives including David's slaying of Goliath, Jonah's three days and nights in the belly of the Great Fish and Methusaleh's age, each stanza beginning with the refrain: "It ain't necessarily so" (musicologists believe the Gershwin's lifted the melody of the refrain from the sung liturgy of the Jewish synagogue, specifically the blessing before the Torah scroll is read from - just to drive the point home!). It's noteworthy that in the opera the song is sung by the character 'Sportin' Life', a drug dealer from whose corrupting influence Porgy is trying to save Bess. Taken out of that context, Normie Rowe's 1965 version, which became a "number one hit" on the pop charts in Australia that year, took on a different function: the ostensibly clean-cut Rowe was inviting the nation's youth to question the Bible and their ministers (the reference to "what your preachers tell you" was not in the original, it was added by Rowe or his manager), reprising the ancient role of the agent provocatuer seeking to corrupt the faith of the innocent. This may all seem rather trite now in our cynical, "post-Christian" times when even ordained ministers blithely contradict Holy Writ, but Australia in 1965 was still a very naive and believing Christian society in which most children still went to Sunday School and civil laws preserving the "English Sabbath" still applied. It was, however, a society on the cusp of an epochal change which would effectively sever the nation from its cultural roots in Christianity. Statistically, the present decades long decline in church attendance begins in the late 1960s. Of course, I'm not suggesting that's all down to Normie Rowe (! ); his song simply crystallises the culturally revolutionary sentiments that were in the air at that time and which would only increase in intensity as the heady 1960s waned into the jaded 1970s. In 1965 Australia's then "most listened to" commercial radio station, Sydney's 2SM, was owned by the Roman Catholic Church, which ordered the station not to play Normie Rowe's song, which it regarded as sacrilegious because of the lyric's urging to question the literal truth of some Biblical narratives. How times have changed! Barely a generation later the top-ranking clergyman in the Australian Catholic Church, Cardinal George Pell, successor to the very Archbishop of Sydney who banned Rowe's song from 2SM's airwaves, can effectively endorse the sentiments of the Gershwin/Rowe song on national TV. 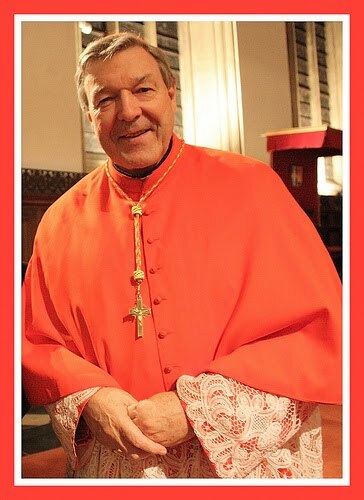 I'm referring to the Cardinal Pell's comments on the widely watched Australian TV program Q & A [i.e. 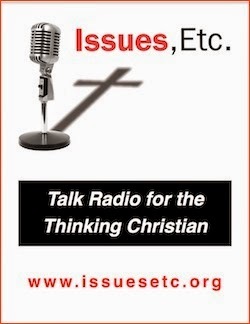 Questions and Answers - a moderated, interactive discussion program in which a panel of guests, often including politicians, other public figures and intellectuals visiting these shores, answer questions from the studio audience and, via SMS, Twitter & computerised video links, the general public). Last week, in a debate with Richard Dawkins, Card. Pell stated that Adam and Eve were not historical persons, as the Bible clearly presents, but "mythological figures" who are meant to represent humankind in general. Further, the Cardinal - sometimes mentioned in the press here and abroad as a possible successor to Benedict XVI - averred, modern humans are descended from Neanderthals (an egregious error if one accepts - as Card. Pell purported to do - the paradigm of human evolution which Richard Dawkins immediately jumped on). I half expected the Cardinal to jump up on the Q & A set and give us his rendition of "it ain't necessarily so, the things that you're liable to read in the Bible, it ain't necessarily so", like a character in a Dennis Potter play (if you've never seen Pennies From Heaven or The Singing Detective, click on Potter's name to learn more). Now, it might be said by some that to question the truthfulness of individual Biblical narratives is neither here nor there as far as the integrity of Christianity as a salvific religion is concerned. Personally, I don't doubt that a person could be saved by God's grace despite denying the great age of Methusaleh, Jonah's sojourn in the fish's belly and David's battle with Goliath, but I would never counsel a person to acquiesce to such denials, but to courageously exercise faith in the face of such doubts (to paraphrase another RC Cardinal, John Henry Newman, these Bible stories may be difficult to explain, but just how are they difficult to believe?). But it is quite possible that by a "felicitous inconsistency" a person who denied the truth of some OT narratives could accept the veracity of the NT narratives which form the historical-doctrinal basis the basis for saving faith. But to question...no, to actually dismiss the historicity of Adam and Eve with a wave of the hand and an appeal to mythology presents a grave danger to the integrity of the Christian Gospel. It is quite remarkable, then, that a man in Pell's position should apparently so carelessly venture such a questionable opinion publicly - I shall explain precisely why shortly. Then also, I'm afraid it is entirely to be expected and reflects the lamentable influence of liberal theology upon even that supposed citadel of doctrinal conservatism, the Roman church. In the meantime, you may wish to watch the debate via You Tube here. Belated Easter greetings to visitors to the virtual old manse (not belated for my Orthodox friends, though!). I'm afraid I came down with a flu-like virus over Easter - thank God I managed to preside at all the Holy Week & Easter services in my parish but this week has been devoted to recovery, so blogging was a low priority. Here's another sermon from Dr Luther from his Church Postils (mid-1520's); originally preached on Easter Sunday, the text is Mark 16:1-8. I. 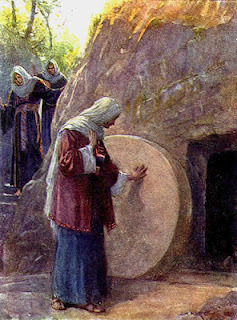 THE STORY OF CHRIST'S RESURRECTION. 1. In the first place we shall briefly examine the text of this narrative, and afterwards speak of the benefits of the resurrection of Christ, and how we should build upon it. The text reads: "And when the sabbath was past." Here we must remember Mark writes of the sabbath according to the custom of the Hebrews, for according to the Jewish reckoning the day began in the evening and lasted until the evening of the next day, as the first chapter of Genesis says: "And there was evening and there was morning, one day," "a second day," "a third day," and so forth. Thus the first and greatest Sabbath began on the evening of the day when Christ was crucified, that is to say at the time of sunset on the evening of Friday. Our reckoning conveys the wrong sense. Yesterday was the great Sabbath, when Christ lay in the grave; in addition to this the Jews had seven full days which they celebrated and all of which they called sabbaths, counting them from the first holiday after the great Sabbath and calling it prima sabbathorum (first of the sabbaths), and the third holiday secundarn sabbathorurn (second of the sabbaths), and so forth. On these days they ate only wafers and unleavened bread, for which reason they are also called by the Evangelist the days of unleavened bread. From this we must conclude that Christ rose before sunrise and before the angel descended in the earthquake. Afterwards the angel only came to open the empty grave, etc., as has been clearly described by the Evangelists. 2. The question now arises: How can we say that he rose on the third day, since he lay in the grave only one day and two nights? According to the Jewish calculation it was only a day and a half; how shall we then persist in believing there were three days? To this we reply that be was in the state of death for at least a part of all three days. For he died at about two o'clock on Friday and consequently was dead for about two hours on the first day. After that night he lay in the grave all day, which is the true Sabbath. On the third day, which we commemorate now, he rose from the dead and so remained in the state of death a part of this day, just as if we say that something occurred on Easter-day, although it happens in the evening, only a portion of the day. In this sense Paul and the Evangelists say that be rose on the third day. 4. The great longing and love of the women for the Lord must also be particularly noted here, so that unadvised and alone they go early to the grave, not thinking of the great stone which was rolled before the tomb. They might have thought of this and taken a man with them. But they act like timid and sorrowing persons, and therefore they go on their way without even thinking of the most necessary things. They do not even think of the watchers who were clad in armor, nor of the wrath of Pilate and the Jews, but boldly they freely risk it and alone they venture on their way. What urged these good women to hazard life and body? It was nothing but the great love they bore to the Lord, which had sunk so deeply into their hearts that for his sake they would have risked a thousand lives. Such courage they had not of themselves, but here the power of the resurrection of Christ was revealed, whose Spirit makes these women, who by nature are timid, so bold and courageous that they venture to do things which might - have daunted a man. 5. These women also show us a beautiful example of a spiritual heart that undertakes an impossible task, of which the whole world would despair. Yet a heart like this stands firm and accomplishes it, not thinking the task impossible. So much we say for the present on this narrative, and now let us see what are the fruits and benefits of the resurrection of Christ. 6, St. Paul writes in Romans 4, 25 as follows: "Christ was delivered up for our trespasses, and was raised for our justification." Paul is indeed the man who extols Christ in a masterly manner, telling us exactly why and for what purpose he suffered and how we should conform ourselves to his sufferings, namely, that he died for our sins. This is a correct interpretation of the sufferings of Christ, by which we may profit. And as it is not sufficient to know and believe that Christ has died, so it will not suffice to know and believe that he rose with a transfigured body and is now in a state of joy and blessedness, no longer subject to mortality, for all this would profit me nothing or very little. But when I come to understand the fact that all the works God does in Christ are done for me, nay, they are bestowed upon and given to me, the effect of his resurrection being that I also will arise and live with him; that will cause me to rejoice. This must be brought home to our hearts, and we must not merely hear it with the ears of our body nor merely confess it with our mouth. 7. You have heard in the story of the Passion how Christ is portrayed as our exemplar and helper, and that he who follows him and clings to him receives the Spirit, who will enable him also to suffer. But the words of Paul are more Christian and should come closer home to our hearts and comfort us more, when he says: "Christ was raised for our justification." Here the Lamb is truly revealed, of whom John the Baptist testifies, when he says in Jn 1, 29: "Behold, the Lamb of God, that taketh away the sin of the world." Here is fulfilled that which was spoken to the serpent: "I will put enmity between thee and the woman, and between thy seed and her seed: he shall bruise thy head," which means that for all those who believe in him, hell, death, and the devil and sin have been destroyed. In the same manner the promise is fulfilled to-day which God gave to Abraham, when he said in Gen 22, 18: "In thy seed shall all the nations of the earth be blessed." Here Christ is meant, who takes away our curse and the power of sin, death and the devil. 9. This is the meaning of the words by St. Paul: "Christ was raised for our justification." Here Paul turns my eyes away from my sins and directs them to Christ, for if I look at my sins, they will destroy me. Therefore I must look unto Christ who has taken my sins upon himself, crushed the head of the serpent and become the blessing. Now they no longer burden my conscience, but rest upon Christ, whom they desire to destroy. Let us see how they treat him. They hurl him to the ground and kill him. 0 God; where is now my Christ and my Saviour? But then God appears, delivers Christ and makes him alive; and not only does he make him alive, but he translates him into heaven and lets him rule over all. What has now become of sin? There it lies under his feet. If I then cling to this, I have a cheerful conscience like Christ, because I am without sin. Now I can defy death, the devil, sin and hell to do me any harm. As I am a child of Adam, they can indeed accomplish it that I must die. But since Christ has taken my sins upon himself, has died for them, has suffered himself to be slain on account of my sins, they can no longer harm me; for Christ is too strong for them, they cannot keep him, he breaks forth and overpowers them, ascends into heaven (takes sin and sorrow captive, Ed. 1531), and rules there over all throughout eternity. Now I have a clear conscience, am joyful and happy and am no longer afraid of this tyrant, for Christ has taken my sins away from me and made them his own. But they cannot remain upon him; what then becomes of them? They must disappear and be destroyed. This then is the effect of faith. He who believes that Christ has taken away our sin, is without sin, like Christ himself, and death, the devil and hell are vanquished as far as he is concerned and they can no longer harm him. 10. Here we also refer to the passage in Hosea 13, 14, which Paul quotes in reference to the victory that Christ has won by his resurrection and by which he has conquered sin, death, hell and all our enemies. Paul says that death is swallowed up in this victory, and he defies death with these words: "0 death, where is thy victory? 0 death, where is thy sting?" just as if Paul would say: 0 death, where are thy teeth? Come, bite off one of my fingers. Thou formerly hadst a spear, what has become of it now? Christ has taken it from thee. Death, where is now thy spear, etc.? Sin, where is now the edge of thy sword and thy power? Paul says that the power of sin is the law. The more clearly we understand the law, the more sin oppresses and stings us. For this reason Paul says that Christ has completely destroyed and annihilated the spear and whetstone of death. Now, this Gospel he has not taken with him into heaven, but he caused it to be preached throughout the world, so that for him who believes in Christ, spear and whetstone, nay, sin and death, should be destroyed. This is the true Gospel, which bestows life, strength, power and marrow, and of which all the passages of Scripture speak. 13. To this I reply: I have often said before that feeling and faith are two different things. It is the nature of faith not to feel, to lay aside reason and close the eyes, to submit absolutely to the Word, and follow it in life and death. Feeling however does not extend beyond that which may be apprehended by reason and the senses, which may be heard, seen, felt and known by the outward senses; For this cause feeling is opposed to faith and faith is opposed to feeling. Therefore the author of the Epistle to the Hebrews writes of faith: "Now faith is assurance of things hoped for, a conviction of things not seen." For if we would see Christ visibly in heaven, like the visible sun, we would not need to believe it. 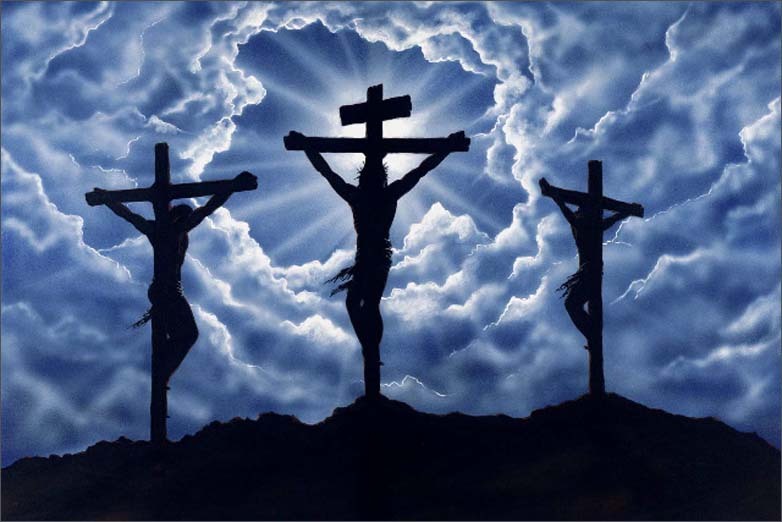 But since Christ died for our sins and was raised for our justification, we cannot see it nor feel it, neither can we comprehend it with our reason. Therefore we must disregard our feeling and accept only the Word, write it into our heart and cling to it, even though it seems as if my sins were not taken from me, and even though I still feel them within me. Our feelings must not be considered, but we must constantly insist that death, sin and hell have been conquered, although I feel that I am still under the power of death, sin and hell. For although we feel that sin is still in us, it is only permitted that our faith may be developed and strengthened, that in spite of all our feelings we accept the Word, and that we unite our hearts and consciences more and more to Christ. Thus faith leads us quietly, contrary to all feeling and comprehension of reason, through sin, through death and through hell. Then we shall see salvation before our eyes, and then we shall know perfectly what we have believed, namely, that death and all sorrow have been conquered. 14. Take as an illustration the fish in the water. When they are caught in the net, you lead it quietly along, so that they imagine they are still in the water; but when you draw them to the shore, they are exposed and begin to struggle, and then they first feel they are caught. Thus it also happens with souls that are caught with the Gospel, which Christ compares with a net, Mt 13,47. When the heart has been conquered, the Word unites this poor heart to Christ and leads it gently and quietly from hell and from sin, although the soul still feels sin and imagines to be still under its power. Then a conflict begins, the feelings struggling against the Spirit and faith, and the Spirit and faith against our feelings; and the more faith increases, the more our feelings diminish, and vice versa. We have still sins within us, as for instance pride, avarice, anger and so forth, but only in order to lead us to faith, so that faith may increase from day to day, and the man become finally a thorough Christian and keep the true sabbath, consecrating himself to Christ entirely. Then the conscience must become calm and satisfied and all the surging waves of sin subside. For as upon the sea one billow follows and buffets the other, as though they would destroy the shore, yet they must disappear and destroy themselves, so also our sins strive against us and would fain bring us to despair, but finally they must desist, grow weary and disappear. 15. In the second place, death is still at our elbow. It also is to exercise the faith of him who believes that death has been killed and all his power taken away. Now, reason feels that death is still at our elbow and is continually troubling us. He who follows his feelings will perish, but he who clings to the Word with his heart will be delivered. Now, if the heart clings to the Word, reason will also follow; but if reason follows, everything will follow, desire and love and all that is in man. Yea, we desire that all may come to the point when they may consider death to be dead and powerless. But this cannot come to pass until the old man, that is the old Adam, be entirely destroyed, and meanwhile that process has been going on of which Christ speaks in Mt 13, 33, where he compares the kingdom of God to leaven, which a woman took and hid in three measures of meal. For even if the kneading has begun, the meal is not yet thoroughly leavened. So it is here. Although the heart clings to the belief that death and hell are destroyed, yet the leaven has not yet worked through it entirely. For it must penetrate and impregnate all the members of the body, until everything becomes leavened and pure, and there remains nothing but a pure faith. This will not be brought about before the old man is entirely destroyed; then all that is in man is Christlike from center to circumference. 17. This is signified by the sabbath that was to be hallowed and on which the Lord lay quietly in the grave. 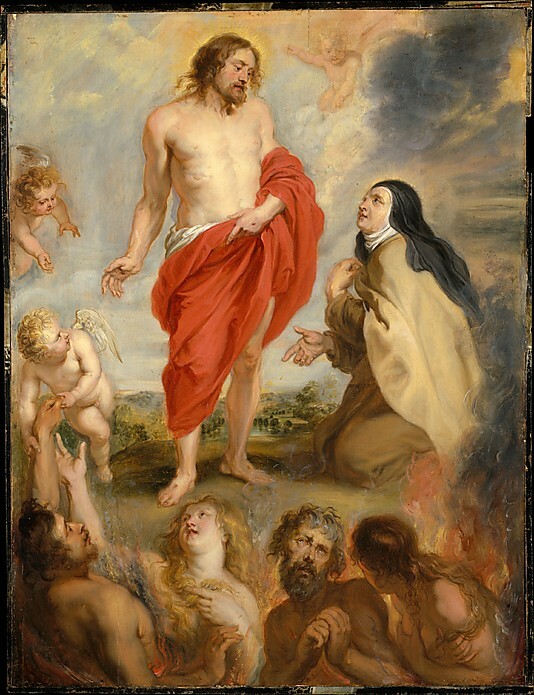 It signifies that we should rest from all our works, should not stir, nay, should not allow any sin to stir within us, but we should firmly believe that death, hell, sin and the devil are destroyed by the death of Christ, and we are righteous, pious, holy and therefore contented, experiencing no longer any sin. Then all the members are calm and quiet, being convinced that sin and death are vanquished and prostrated. But this cannot be brought about, as I have said, until this impotent, wretched body and the old Adam are destroyed. Therefore it is indeed necessary that we are required to keep this sabbath. For as Christ lies in the grave on the sabbath, never feels nor moves, so it must be with us, as we have heard: Our feelings and actions must cease. And I say again that this cannot be accomplished before the old Adam is annihilated. Nevertheless we still experience sin and death within us, wrestle with them and fight against them. You may tie a hog ever so well, but you cannot prevent it from grunting (until it is strangled and killed Ed. 1530). Thus it is with the sins in our flesh. As they are not yet entirely conquered and killed, they are still active, but when death comes, they must also die, and then we are perfect Christians and pure, but not before. This is the reason why we must die, namely, that we may be entirely freed from sin and death. These words on the fruits of the resurrection of Christ may suffice for the present, and with them we will close. Let us pray God for grace that we may understand them and learn to know Christ aright. 2. In the second place, others have pointed out the different benefits and fruits springing from a consideration of Christ’s Passion. Here the saying ascribed to Albertus is misleading, that to think once superficially on the sufferings of Christ is better than to fast a whole year or to pray the Psalter every day, etc. The people thus blindly follow him and act contrary to the true fruits of Christ’s Passion; for they seek therein their own selfish interests. Therefore they decorate themselves with pictures and booklets, with letters and crucifixes, and some go so far as to imagine that they thus protect themselves against the perils of water, of fire, and of the sword, and all other dangers. In this way the suffering of Christ is to work in them an absence of suffering, which is contrary to its nature and character. 4. Fourthly, they meditate on the Passion of Christ aright, who so view Christ that they become terror-stricken in heart at the sight, and their conscience at once sinks in despair. This terror-stricken feeling should spring forth, so that you see the severe wrath and the unchangeable earnestness of God in regard to sin and sinners, in that he was unwilling that his only and dearly beloved Son should set sinners free unless he paid the costly ransom for them as is mentioned in Is 53, 8: “For the transgression of my people was he stricken.” What happens to the sinner, when the dear child is thus stricken? An earnestness must be present that is inexpressible and unbearable, which a person so immeasurably great goes to meet, and suffers and dies for it; and if you reflect upon it real deeply, that God’s Son, the eternal wisdom of the Father, himself suffers, you will indeed be terror-stricken; and the more you reflect the deeper will be the impression. 5. Fifthly, that you deeply believe and never doubt the least, that you are the one who thus martyred Christ. For your sins most surely did it. Thus St. Peter struck and terrified the Jews as with a thunderbolt in Acts 2, 36-37, when he spoke to them all in common: “Him have ye crucified,” so that three thousand were terror-stricken the same day and tremblingly cried to the apostles: “0 beloved brethren what shall we do?” Therefore, when you view the nails piercing through his hands, firmly believing it is your work. Do you behold his crown of thorns, believe the thorns are your wicked thoughts, etc. 8. Eighthly, one must skillfully exercise himself in this point, for the benefit of Christ’s sufferings depends almost entirely upon man coming to a true knowledge of him self, and becoming terror-stricken and slain before himself And where man does not come to this point, the sufferings of Christ have become of no true benefit to him. For the characteristic, natural work of Christ’s sufferings is that they make all men equal and alike, so that as Christ was horribly martyred as to body and soul in our sins, we must also like him be martyred in our consciences by our sins. This does not take place by means of many words, but by means of deep thoughts and a profound realization of our sins. Take an illustration: If an evil-doer were judged because he had slain the child of a prince or king, and you were in safety, and sang and played, as if you were entirely innocent, until one seized you in a horrible manner and convinced you that you had enabled the wicked person to do the act; behold, then you would be in the greatest straits, especially if your conscience also revolted against you. Thus much more anxious you should be, when you consider Christ’s sufferings. For the evil doers, the Jews, although they have now judged and banished God, they have still been the servants of your sins, and you are truly the one who strangled and crucified the Son of God through your sins, as has been said. end that you should fall fresh upon it yourself, to accomplish the same; but you are first to seek and long for the grace of God, that you may accomplish it through God’s grace and not through your own power. For in this way it happens that those referred to above never treat the sufferings of Christ aright; for they never call upon God to that end, but devise out of their own ability their own way, and treat those sufferings entirely in a human and an unfruitful manner. A sermon by Martin Luther first published in 1519. The sermon went through many editions between 1519-1524 and was one of Luther’s most popular writings.